And Alexis to Man City also on a free next summer. Arsenal given major hope of £45m Thomas Lemar transfer as Monaco consider late saleArsenal’s move for Thomas Lemar could be back on with Monaco reportedly open to letting the winger leave the club, according to reports in France. Do people really think we can get Lemar for 45m, when Dembele went for 135m? Number seems low. Mustafi, Oxlade-Chamberlain, Gibbs, Lucas all set to leave. We might actually end up with a net profit come the end of the summer. Cech; Koscielny, van Dijk, Monreal; Bellerin - Xhaka - Ramsey - Kolasinac; Özil, Lacazette, Alexis. Keep Mustafi and Ox since I doubt we can get van dijk. 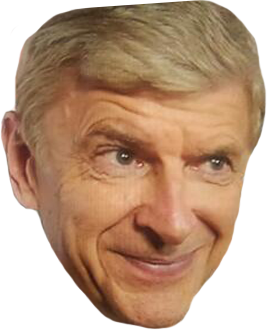 Try to sell Debuchy and maybe even Walcott/welbeck, and bring in another strong cb and/or attacking winger for the future, and thats a successful transfer window. Granted, that's a lot for 6 days, but here's hoping. It does. When his impotence let Monreal leads the back line, and this overpaid way too expensive CB is more chaotic than Xhaka, yeah it does. Even Holding was better in that position. Today's result has finally put arsenal I to full on panic buy mode. Wenger can buy some more overpaid losers who will end up unsaleable burdens in a few short months! Fantastic! I wish Arsene for once to just clean the house. Even if the players are talented if they don't care/play for the team just clean them, this includes Ozil and Alexis. The versatile and talented attacker, targeted by the Gunners all summer, would fortify an already explosive offensive roster for the Reds. The Gunners have remained adamant all summer that they will not sell the Chile international but City are set to test the water late in the day. Should he leave north London, Alexis is likely to be one of many departures from Arsenal before the end of the transfer window. Shkodran Mustafi's representatives are in Italy as talks over a season-long loan move to Inter have reached an advanced stage while Alex Oxlade-Chamberlain is keen to complete a move to Chelsea. A fee in the region of £35 million, however, is likely to be agreed by Thursday's 23:00 BST deadline. Lucas Perez’s wish to return to former club Deportivo La Coruna, meanwhile, could be fulfilled this week and the £17.5m signing will depart north London just a year after arriving from Spain. Also Debuchy, Chambers and Gibbs are made available for transfer by the club. However, sources close to the City hierarchy have told Goal that they remain confident of signing Alexis before Thursday's transfer deadline. Manchester City and Arsenal have finally opened negotiations over a deal for Alexis Sanchez. Alexis remains determined to join City and the Gunners are now receptive to the idea of selling the Chilean, having previously refused to entertain any offers throughout the summer. Raheem Sterling is one of several options that has been mooted during negotations between the two clubs in the past 48 hours, though Goal understands it is the Gunners who have pushed for his inclusion. Sources have told Goal that Fabian Delph has also been proposed by City as the Premier League rivals aim to thrash out a mutually benefical agreement before the transfer window shuts on Thursday. There have also been reports elsewhere in the media that the Gunners have floated the idea of including Sergio Aguero in the deal, though sources close to the player insist the Argentine has no desire to make the move. The Spanish forward has been hoping to leave the Gunners for months, but they have rejected considerable loan offers from La Liga sides. Arsenal have rejected two identical loan offers from Deportivo and Levante for Lucas Perez as the Spaniard awaits to see where his future lies. Inter Milan want to sign Arsenal defender Shkodran Mustafi on loan, but the Gunners would rather a permanent deal, according to ESPN . Arsenal signed the Germany international from Valencia last season for £35m, and are looking to recoup some of the money invested by selling Mustafi this summer. However, Inter would prefer a loan-to-buy deal for the 25-year-old. West Brom are looking to beat Watford to the signing of Arsenal defender Kieran Gibbs, according to the Mirror . The Baggies had previously been interested in the left-back, and Gibbs remains on their radar following Watford's £7m bid. Gibbs has yet to play for Arsene Wenger's side this season, with Sead Kolasinac moving ahead of him in the pecking order. Sanchez for sterling is not an even swap whatsoever. Apparently we were even willing to offer Sanchez and money, which is even crazier. Sanchez for aguero is much more even.